Founded in 2005, Gecko Press is a New Zealand based independent publisher of “curiously good books from around the world,” specializing in translating and publishing children’s books by some of the world’s best illustrators and writers. Gecko Press currently publishes 12-15 titles each year, two or three of which are original to Gecko, typically from New Zealand and Australia. Their list currently stands at 70 titles, ranging from boardbooks through to pre-teen novels, from countries including France, Taiwan, Sweden, Japan, Germany, New Zealand, Poland, and the Netherlands. 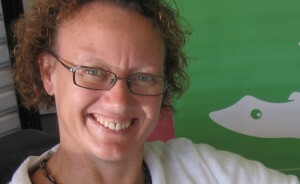 The company was founded by New Zealand native Julia Marshall, a journalist and corporate manager then living in Sweden whose dream for Gecko Press was a simple one: find the world’s best children’s books and then publish them in English. The response she got from publishing professionals? She was either an idiot or had found a brilliant niche for herself. Given her success, it turned out to be the latter – since its founding, Gecko Press has been consistently recognized as one of New Zealand’s most adventurous and dynamic publishers. What went into the leap from journalism to opening Gecko? What were the sheer mechanics involved in starting it up? I was moving from Sweden back to New Zealand. In Sweden, I had been going to the Frankfurt and Bologna Book Fairs to learn how they worked. I was with a friend who said: ‘This is hopeless. The good stands are the big ones – why don’t you go and work for one of those guys instead. Let’s go and look at shoes.’ But I met a Belgian publisher who told me to come back in the morning and he would answer all my questions because someone had done the same thing for him 25 years earlier. I still have my notes from him about how you can buy rights to books in other languages – I hadn’t even realized this was possible. That was the start of Gecko Press. I just decided to buy the rights to five books, the way Phillips Werkerk of Clavis had done in his first year. That year at Bologna I came back with a pile of catalogs from publishers I liked the look of – at least whose books I liked the look of. The next year I made appointments with them – I was surprised that they would meet an unheard of New Zealand publisher who hadn’t yet published a book – but they were so enthusiastic, and I was given very generous terms for the first books I chose, and I am still meeting those publishers every year. I had an advantage in that I had been working for a corporate multi-language magazine publisher, so I knew how to produce a good translation – without that knowledge, the books wouldn’t have survived. There is nothing like a bad translation to kill a book. We used to say that a bad translation is like looking through a dirty window, but with a good translation, you won’t know the window is there. Initially I thought I would just start with translated books, but when I realized that so few books were actually being translated into English – 1% of books in the UK, for instance, in 2005 when I started – I decided to make that my focus. The more publishers I talked to, the more it became clear that publishers in all the non-English countries like France, Germany, the Netherlands, Italy and Sweden, were selling rights for their best writers and illustrators in every language but English. In hindsight, it was a very good decision as it meant Gecko Press quickly got a reputation for publishing high quality books – that would have been much harder and slower if we had been working with manuscripts from scratch. I also set some criteria which I still stick to: the books we publish have to be ‘curiously good’ – they have to be truly original, unlike anything published in our markets. They have to be excellent in story, illustration and design. Many of the authors and writers we publish are winners of international awards. And the books have to have emotion – there has to be a good reason to bring that book across the language divide. I also choose books that I would be happy to read a hundred times or more – those are the books we want. They have to have the feel that they might become a modern classic and stay in print for years and years. A few of the Gecko Press books deal with tricky topics – like the death of animals or a grandparent. As a child, I liked books that made me laugh or weep. It’s good practice. But the main criteria is the story, and the way it is told in words and in pictures. And character. Our books are very character driven. I like a picture book that has the impact of a novel, with plot and character development and drama and resolution. A very few books can achieve this. What go into the mechanics of finding a book, obtaining the rights, translations? Choosing the book is the most important thing, and that happens at book fairs. For me this is very relationship based – I have a core group of publishers I meet regularly, because I know they are publishing books of the kind I want to publish: I also follow what other publishers are doing, and a few of us swap notes about books we have seen that we think the others might like. Then you make an offer to buy the English rights to that book – we are selling Gecko Press now in the UK and Australia and the US as well as in New Zealand, so I mostly buy World English rights. The most important and sometimes the most difficult thing about producing a translated book is the translation itself, and we work very hard to get this right. 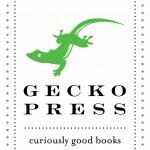 Is there one book that typifies Gecko Press? It is very hard to choose one book – Can You Whistle Johanna? by Ulf Stark is a very important book, because it touches children and adults very deeply. It is the story of two boys – one has a grandfather and one doesn’t, and one says he doesn’t know whether they come from but he knows where you can find them, and so they visit the old people’s home and adopt Grandpa Ned. The author, Ulf Stark, is a truly great children’s writer, in my opinion. 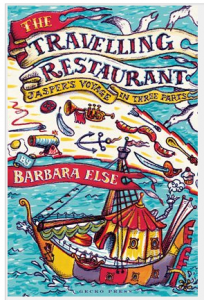 It typifies a Gecko Press book because it is very warm, and while it is sad, it is very funny at the same time. I believe children are well able to deal with emotion in reading – and I think it one of the pleasures of reading. The other book I would choose is Duck, Death and the Tulip, by Wolf Erlbruch, which we have released in America. This was definitely a risky book to publish, as many people believe children should be sheltered from things such as death and dying. But as my father said, death is something that happens outside of children, and they don’t their mortality personally, the way adults do. Some very good writers – Patrick Ness, Anthony Browne, Meg Rosoff – have all championed this book. Teachers and librarians have told stories of children taking it into the playground, taking it home – it is philosophical and warm, and direct, as well as being very beautifully illustrated – it is a book I am very proud to have published. One very big challenge is adults who decide what is right or not right for children, rather than letting them explore and learn and experiment in their reading. I think there is a tendency in the Anglo Saxon culture to underestimate children, in our efforts to give them an innocent and happy childhood. I think there is great benefit from getting a wider range of emotions than that – as long as good storytelling is at the heart of the book. Story for us is the absolute key – I am surprised how many books there are that don’t seem to have a beginning, a middle, and an end. What would you like Gecko Press to be like in five years? I would like Gecko Press to be internationally recognized as a key independent publisher of curiously good children’s books. We will be equally strong in digital and print publishing. We will continue to publish a small number of books original to Gecko Press, which we sell rights to overseas. What we do, we will do well.